When it comes to finishing uni, there is a huge sense of the end of one chapter and the beginning of the next. It is a rites-de-passage of those graduates who finish their academic studies and embark on a career as they venture into the big wide world. However, despite the raft of changes in a young person’s life as they cross the divide, there is one issue that goes unreported when it comes to returning to the family home. That is… what on earth to do with all the stuff that is accumulated after years away at uni!?!? This is an issue that nobody really speaks about. Its impact is huge, not just on the recent graduate as they now have to make quick decisions about what to keep and what to throw away, but for the parents and other family members in the house: their once pristine palace has now become host to fausty piles of t-shirts bearing suggestive slogans and semi-mouldy mugs that have never seen the nirvana of a dishwasher. 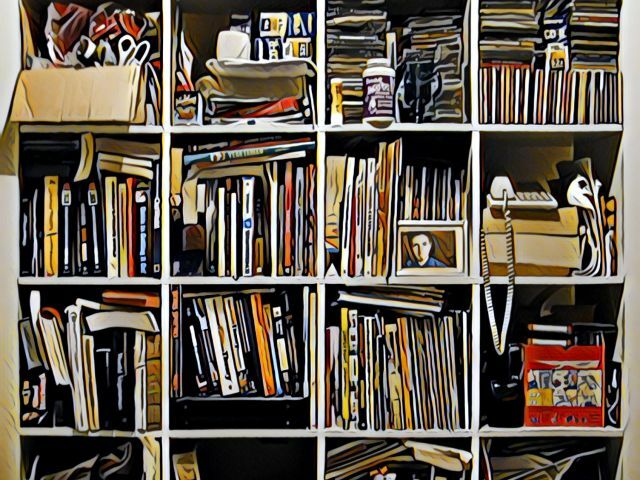 So, now that you invade the family home with essentially two rooms’ worth of goods, how do you declutter and decide what to keep, what to throw out and what to store away? This seems like an obvious one, but keep anything that will come in handy in the immediate future. If leading a decluttered life is important to you, it’s always best to only keep things that are of use to you in the short to medium term. This includes stationery, computer hardware and clothing. However, if you return with twice the wardrobe but you have half the room, try and assess which items of clothing will be of use to you as opposed to keeping things because of memories such as sporting tops and festival/gig t-shirts. Whilst these hold sentimental value, they’re not going to be ideal garments to wear on your first day of work or wedding day. Be ruthless! If something will never be of use to you ever again, get rid of it! Unless it is extremely important from a sentimental perspective, you are best placed to cut your losses and dispose of it in a responsible manner. If novelty items fall into this category such as inflatable bananas, road signs and straw hats, see if your local authority has a recycling centre you can use. This means the items may get recycled and they won’t take up space on your wall gathering dust and being a general eyesore to all who enter your room. Or, depending on the item (and its condition), consider donating it to charity instead. After all, what may seem appropriate in a student house will not necessarily work in your family home. This is the middle-ground. Even if things aren’t useful in the short-to-medium future, it doesn’t mean they can’t be put to good use later in life once you have your own home. Items such as crockery, cleaning goods, cooking utensils and sporting equipment can all be put to good use further down the line. These are the types of items that probably cost good money and they will come in very handy when you come to make a home for yourself. Store these away safely and in damp-proof containers in an attic space, shed or third-party storage facility that is close to you and easily accessible. If you need residential storage, such as student storage (e.g. 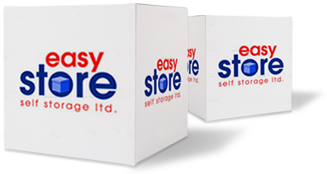 if you’ve not yet graduated), then why not consider Easystore Self Storage? Our storage units in Cardiff and Bridgend are conveniently located, open 24/7 every day of the year and include other perks such as free contents insurance (you can see a full list of perks here). Contact us today or use our enquiry form.